It is time for your life to flow with prosperity, love, success, a positive self image and acceptance. It is time for you to believe in yourself and trust that you deserve more. Set clear boundaries for yourself and others and set healthy limits based on your insights and values. When you value yourself and your time you are more open to new ideas and attract abundance as well as the richness of life. The angels wish to remind you to accept everyone exactly as they are right now, and this includes you. Accept yourself and others without judging, blaming, or the desire to change them. There might be things about yourself you would like to change and that is wonderful, however always remember that you are truly perfect just as you are right now. 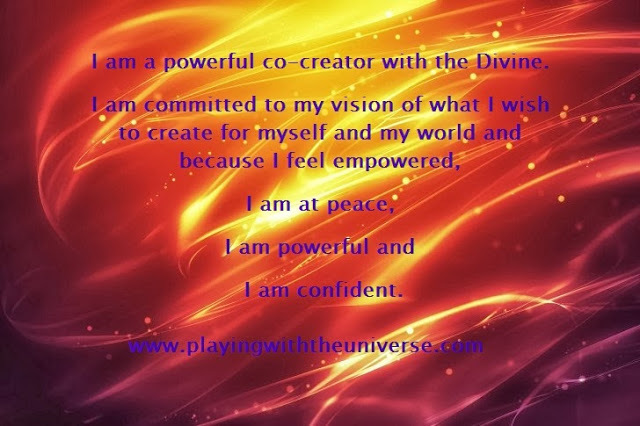 As you accept yourself, you will feel more peaceful, centered and confident and it will show in your auric field and others will feel it and hold you in that same light. Remind yourself often that you are likeable and loveable and deserve the best life has to offer, and you do. Stand tall and be confident.